This discussion was created from comments split from: Slow gameplay and Loading Issues. Also having loading issues, brings me to the page, plays music then the music starts sounding all wobbly and it kicks me off. What the What?!? Apologies for the inconvenience, @sherrib. Try launching it for 3-5 minutes without any other apps/tabs open. If you prefer using our web platform, we suggest playing it on Firefox or Chrome. Also check any of our troubleshooting steps (Android|iOS|Kindle|Web) to optimize its performance; then, visit our article on the recommended system requirements to ensure your device's compatibility with the game. If it remains the same, reach out to our Support Team and provide them with your Zynga ID and Device ID (as shown in the Notes) to have your account checked. We would also appreciate it if you can fill out this Form afterwards. Thank you. 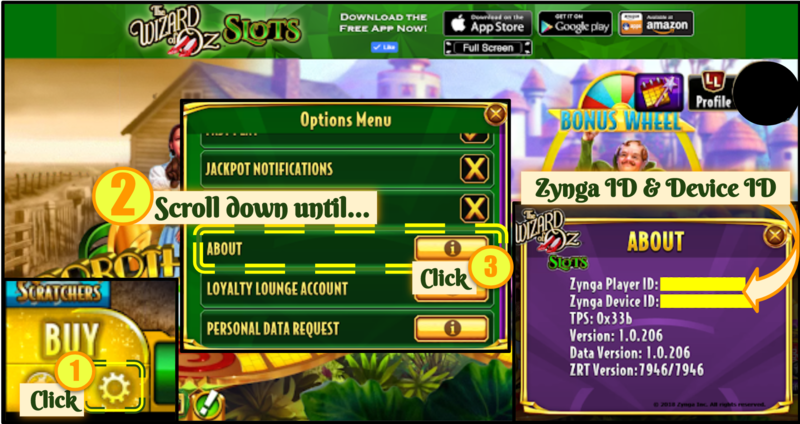 Notes: How to obtain your Zynga ID and Device ID?